Short Biography: Mileva Einstein-Marić, student at the Zurich Polytechnikum, second woman to finish a full program of study at the Department VI A: Mathematics and Physics. Marries Albert Einstein, gives birth to three of his children, surviving childbed three times, is betrayed by him, discarded by him, dispatched from Berlin back to Switzerland with the children just before the First World War, divorced, brings up their two sons, cares for the schizophrenic son, dies. Mileva Marić began her studies at the Swiss Federal Polytechnic, today the Swiss Federal Institute of Technology (ETH), in 1896. Enormous achievements and successes had brought her to that point in her life. She was born into a wealthy family in Titel, then part of Hungary; her parents soon noticed her intelligence and sent her to ever more exclusive schools until she was admitted to an all-male secondary school (Obergymnasium) in Zagreb. After one year there she was allowed to participate in the physics class of the elite school. Her grades were excellent, and in physics and mathematics she received an evaluation as ‘Brilliant’ from her teachers. At eighteen she decided to go to the only German-speaking country where women were admitted to the university: Switzerland. After taking the Swiss “Matura” exam – the school-leaving exam and qualifying exam for university study – and studying medicine for one term, she entered the Polytechnic. To be admitted she had to pass an additional mathematics exam. 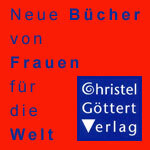 The ETH (Eidgenössische Technische Hochschule) is to this day a male-dominated elite institution. We can only imagine what the atmosphere was like when Mileva Marić began to study there in 1896, over one hundred years ago. Women “did not belong” in this institution. The male professors – needless to say there were no female professors there, the first woman professor being appointed in 1985! – had no positive expectations for women students; they were not recognized, encouraged or fostered as were male students, who, as soon as they entered, became members of the institution and began to profit from its privileges. Only recently have we begun to understand the significance of factors such as expectations of teachers for their students; male academic networks which exclude women students from promotion and recommendation; and psychologically stressful conditions for studying and testing which can create enormous impediments for women with disastrous consequences for their grades and achievements. These new insights are important for evaluating Marić’s experiences at the ETH. In her time university study and particularly an academic career were strictly male domains; women encountered open hostility and rejection whenever they wanted admission to this arena. They were expected to set aside their interests and give up their studies when they became engaged or married in order to devote their lives to their husbands. Until 1900 90% of female students left the universities and polytechnics without completing their studies (today 38% of women students drop out of Swiss institutions of higher learning). Before Marić five women students had been registered at Department VI A: Mathematics and Physics. Four of them left after one or two years of study; only one, Marie Elisabeth Stephansen from Norway, finished with a diploma after five years of study. Marić therefore was the second woman who completed a full course of study; she added a fifth repeating year. After Stephansen and up to 1927 there were two other women in VI A who finished with a diploma, that is in close to sixty years (from 1871 to 1927) only three women left this department with a diploma. Also during these sixty years only four women completed a full course of study of four or five years at VI A and only one of them, Marić, had to leave without a diploma. At her time the Polytechnic had obligatory course plans, special annual so-called achievement grades that were required for advancing to the next year, and disciplinary rules under which insufficient diligence was punishable. The thesis for the diploma was accepted at the university as a doctoral dissertation; the doctorate was then bestowed without any further examination. All of these conditions give special importance to Marić’s leaving certificate plus her completed thesis, even though she did not pass the exam for the diploma (more on this below). Albert Einstein began his studies in the same year and in the same department, VI A, as Mileva Marić. They attended the same lectures, read and worked together, befriended each other and eventually fell in love. In the last year they were in the same physics lab getting the same grades from Professor Weber. They wrote their thesis with him in the same area: heat conduction. Mileva Marić was fascinated by her topic, worked hard, and reported to her best friend, Helene Savić, in a letter that Professor Weber was looking forward to her further research. Albert later said that his thesis had been totally uninteresting to him. The Examination for their diplomas was in 1900. Albert Einstein was barely passed – with an average of 4.91 ( 6 being the highest grade in Switzerland); the other three males all had an average above 5. Mileva Marić was the only woman to be examined, and failed with an average of 4.00 (corresponding to a C). When she repeated the exam one year later after having taken more course work, she failed again with exactly the same average of 4.00. At this point in time Mileva was already pregnant, and Albert’s parents had rejected her as a potential daughter-in-law. Evidently special conditions prevailed for Mileva Marić at her two diploma examinations. Neither the new terms and conditions for taking a test (PRUEFUNGSORDNUNG) were being followed nor did the usual professorial clemency toward repeating male examinees, whose “life one does not want to destroy,” come into play. Mileva Marić went home to her parents after the second exam and gave birth to a daughter in January 1902. Albert never saw his daughter. When they married a year later, they could have brought their daughter to Switzerland and legitimated her. Possibly Albert’s status as a civil servant, as low as his position was, did not allow for this. Or maybe Albert, the philistine at heart, could not bring himself to admit to having an illegitimate child. In 1904 Hans Albert was born and in 1910 a second son, Eduard. Not long after, Albert began an affair with his cousin Elsa in Berlin. The Relativity Theory of 1905: We do not know and will possibly never know who contributed how much to the articles that appeared in 1905, among them the theory of relativity. All we know is who published them under his name. The original manuscripts were discarded by Einstein. Is the vehemence of the male genius a giveaway here? The vehemence with which he has to take from her everything she ever did? Six years later the divorce was granted, based on adultery on his part. But in 1914 Mileva was managing another move with a sick four-year-old child and a ten-year-old: all without her husband’s help. When she became aware of his betrayal, passionate arguments and fights began; in the end Mileva left with the children to go back to Zurich. When the first World War began father and husband remained in Berlin, living with his cousin, whom he married two weeks after the divorce in 1919 – although by then he would have preferred to marry one of Elsa’s daughters. From 1914 on Mileva Einstein-Marić, who had in fact been responsible for household and children all along, relieving her husband of his responsibilities, was the sole parent. She became ill again and again, especially during the years before the divorce, had financial problems most of the time, and took care of the sickly younger son, who later became schizophrenic, her entire life. The correspondence between Mileva, her two sons and Albert from 1914 to 1948 is deeply shocking and disturbing. The pleading letters by the children to him and his ironical, brutally patronizing, distancing, punitive letters would alone make an amazing book. The correspondence also shows that Mileva was deceived from the beginning with the promise of receiving the Nobel Prize money as a divorce settlement. At first she was bribed with it to sign the divorce papers, then she was led on for years with words and empty promises. Sometimes she saw through the disingenuousness and writes of the fact that Albert did not keep to the stipulations in the divorce agreement when he invested the money in the U.S. Then the adult son Albert asks to whom the money belongs, wants to know what the amount is before he signs off his inheritance against it, puts his finger in the wound when he calls it a “compensation for Mama,” and has to apologize and keep on apologizing for his forwardness. The bitter pathological fight for the money lasted to the death of all participants and beyond. Throughout, Einstein had control of the money; he started a corporation in the U.S. and had to be asked at every step for his permission. Einstein-Marić never had the sole disposition over any of the Nobel Prize money; on the contrary she once asked Einstein for a contribution for a 15-francs-book that the younger son wanted, and more than once others asked Einstein for financial help for her. 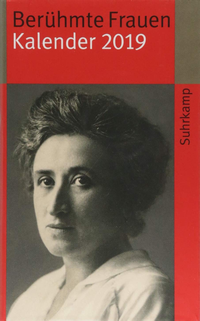 But by sheer accident at the end of her life she was handed the money in cash from the sale of the last house the “Corporation” owned in Zuerich– a superb irony or psychological justice. By that time she was worn down by the decade-long burden of taking care of her sick son, by the constant pressure of buying, managing, selling houses, by negotiating with renters, buyers, banks and tax offices, by dealing with legal documents and lawyers in two languages, by the fear of being cheated and of doing something wrong while being responsible to Einstein and his “Corporation.” She was so weakened and sick that she gave up on her life. A frantic search after her death by the relatives yielded the full sum under her mattress. When I read the correspondence from the last years of Mileva’s life – characterized often by biographers as “conciliatory” – it became clear to me that Albert had not only robbed Mileva of her happiness and her scientific work and her financial security; he had robbed her of her life and sent her to her grave. However, the female authors are not without prejudice either – we find no article, no book in which the old stereotypes about Mileva’s appearance are not copied and repeated. Or where new falsehoods are not constructed, always protecting Einstein in the process. Caution is also necessary when Serbian nationalism tries to appropriate Mileva Einstein-Marić. Or when the beautiful title for the correspondence of Mileva Marić with her friend Helene Savić, A FRIENDSHIP, appears in the English translation suddenly as: IN EINSTEIN’S SHADOW: THE LIFE AND LETTERS OF MILEVA MARIć, EINSTEIN’S FIRST WIFE. For the converse questions remain: what would have become of Albert Einstein if he had not met Mileva Marić – would he have gotten his diploma, would he have finished his thesis, would he have taken the job in the Patent Office, would there have been an Akademie Olympia, would there have been an “annus mirabilis”, but most of all, would he have been so productive and creative without Mileva, her presence and her work? Would there be - without what she did for him on all levels – a genius at all? For as we know from other geniuses: she works and he is the genius. Collected Papers of Albert Einstein, Vol.I - X, 1987 – 2007, Princeton, Princeton University Press. Fifteen volumes are still to come! Geraldine Hilton, Author and Producer. 2002. Einstein's Wife. Documentary Film, broadcast by ARTE, PBS and others. Roswitha Mair. 2002. Von ihren Träumen sprach sie nie: Das Leben der Künstlerin Sophie Taeuber- Arp. Stuttgart.Herder. Inge Stephan. 1989. Das Schicksal der begabten Frau: Im Schatten berühmter Männer. Stuttgart. Kreuz. Desanka Trbuhović-Gjurić.1983. Im Schatten Albert Einsteins. Bern. Haupt. Senta Troemel-Ploetz. 1990. “Mileva Einstein-Marić: The Woman who did Einstein’s Mathematics.” Women’s Studies International Forum 13,5. —-.1992. Mileva Einstein-Marić: Die Frau, die Einsteins mathematische Probleme loeste. In: Troemel-Ploetz: Vatersprache Mutterland: Beobachtungen zu Sprache und Politik. Muenchen. Frauenoffensive. —-. 2006. “Parallelen, Linien, Verbindungen: geniale Frauen in der Kunst zur Zeit von Mileva Einstein-Marić.” Wortstueck. Unver. Evan Harris Walker. 1989. “Did Einstein Espouse His Spouse’s Ideas?” Physics Today, February 1989.